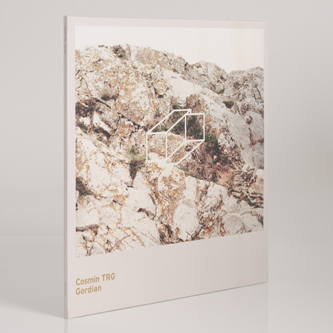 Cosmin TRG further refines his house and techno tastes on 'Gordian' two years on from his debut album, 'Simulat'. Packaged in the sort of grown-up tip-on gatefold slipcase you'd more expect from Stephen O'Malley's Ideologic Organ imprint, both the titular, conceptual inference to ancient myth and the sleekly developed brand of techno within imply a carefully considered development of the Berlin-based Romanian producer's ideas. Proceeding to jettison any tangible connection with rave and dubstep in favour of a buttoned-up, earnestly focussed conservatism, Cosmin Nicolae offers, "The title references an ancient myth, but describes the very contemporary, impossible task of discerning between real and replicated, authentic and contrived. Coping with facts, objects and bodies, the necessity of 'making it', fear of failure, fear of 'not being happy' are today's topics, and Gordian is my attempt at an exploration of those issues." 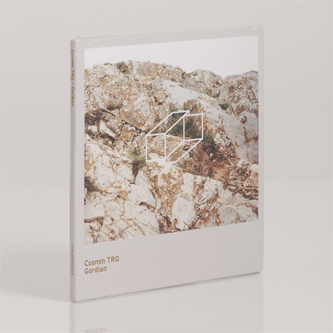 We couldn't really comment how well he broaches the subject in that context, but we can tell you that there's a silvery thread of dancefloor melancholy marbling its well-balanced techno muscle like a fine sirloin, manifesting in the fuzzy melodies of 'Defeated Hearts Club', glinting from the whipped dub chord licks of 'Gordian' itself, and at its most potent in the all-too-short 'To Touch Is To Divert' and with an almost Radiohead-like wistfulness in 'Vertigo'.